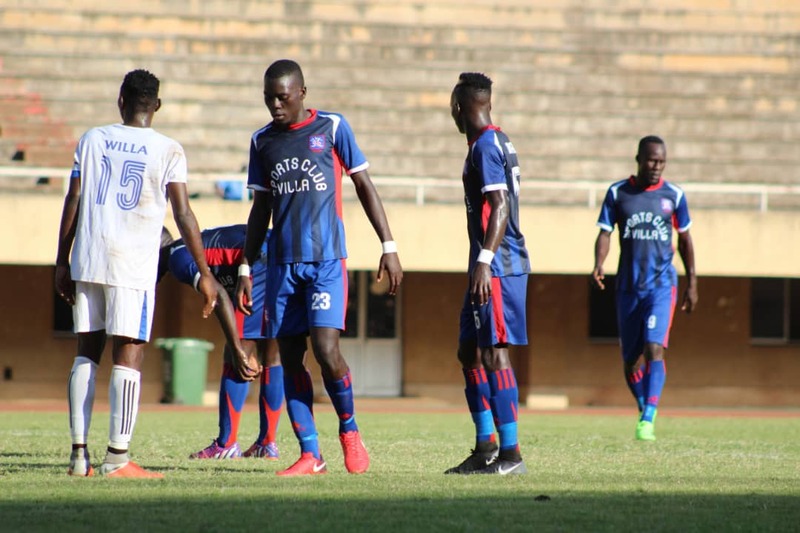 NAMBOOLE – SC Villa were held by Police FC to yet another draw in the StarTimes Uganda Premier League on Wednesday. In a game that saw loads of missed chances for either side, only two goals were scored on the day with either side finding the back of the net once. It was a battle of the League’s leading scorers and they did justice to that tag as Juma Balinya gave the visitors the lead before Bashir Mutanda leveled matters for the home side. Balinya who went into the game topping the scoring charts on 12 goals scored inside the first 5 minutes, rounding Villa goalkeeper Saidi Keni before slotting into an empty net. Mutanda who had gone several games minus scoring slotted in his 12th of the season from the spot on 24 minutes after he was brought down in the area by Edgar Bwogi. This was Villa’s 11th draw of the season, the most in the League along with URA FC. The point sees them remain 11th on the standings with 23 points from 21 games. Police are renowned for playing an expansive style of football, attacking at deadly speed whilst dominating possession. This was the case for them on Wednesday but always let themselves down with poor finishing. The Cops who have scored in all but three of their games this season started strongly applying a high intensity pressing game and creating a host of chances in the opening 15 minutes. Ruben Kimera missed the first chance of the game inside the opening minute when he miscued the ball with the goal begging. Moments later, Ronald Nyanzi headed wide of Keni’s goal after he was played in by Paul Wila’s exquisite cross from the right. Straight after Balinya scored, Kimera again missed, failing to shoot after he was played in by Balinya’s low lay-off. Two minutes after the hour mark, Hassan Kalega blasted wide from inside the area with no Villa player close to him. Kimera who was just restored into the starting line up after seating out the last two games, saw Saidi Keni save his fierce shot from outside the area, saved by Keni. In the last 10 minutes of the game, Police could have won it but Pius Kaggwa could only look on as his lobed attempted flashed agonizingly wide. Moments later, Ashraf Ggaliwango made a powerful run down the left but somehow his low cross eluded everyone including two of his team mates and went out for a throw in. Villa were pegged back for most of the game and resorted to counter attacks which troubled Police on several occasions. On 12 minutes, Mutanda turned swiftly after Ashraf Mandela played him in but the former Kirinya JSS striker’s shot was saved comfortably by Davis Mutebi. After Police had missed at the other end, Villa attacked quickly but Mutanda shot agonizingly wide on 36 minutes. With time running out, Charles Lwanga lashed onto David Owori’s pin-point through ball, rounded Mutebi but couldnot get the ball out of his feet to score in an empty net. Despite failing to win, Police have now recorded six points from as many games against the VEK (Villa, Express and KCCA) this season. The point earned sees Abdallah Mubiru’s side remain 8th with 29 points from 21 games. 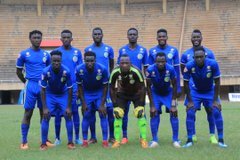 The other two games played on Wednesday all ended goalless with Bright Stars failing to win again, at home to Tooro United and Nyamityobora and Bul also sharing spoils.